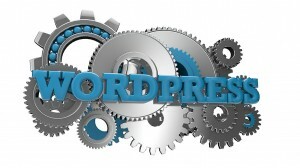 Whenever you upload a new image to your WordPress website the original image is saved and three additional versions of the image are generated and also saved. When you look in the Media Library you will only see the original version that you uploaded. The other versions are available for your theme to use in various places on your website. 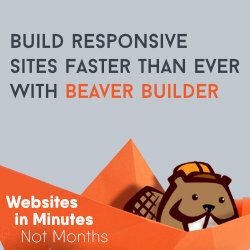 The thumbnail size is often used on Archive pages. When you use an image from your media library in one of your posts you will see the option to use various sizes of the graphic file within your post/page content. The sizes from which you can select are these sizes shown on the Media Settings page. 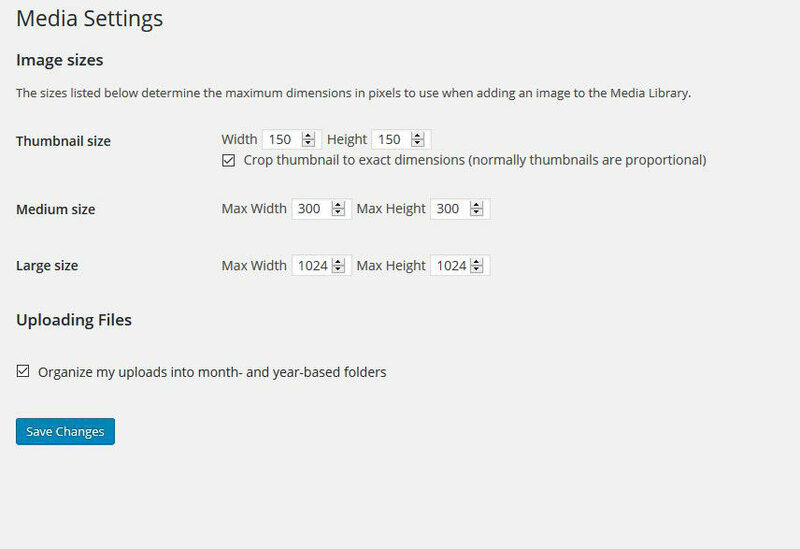 You have the option to change these image sizes to whatever sizes you choose, however make sure the new sizes are compatible with your theme (check the theme documentation). Also understand that the size change will only be in effect for media files uploaded after you change the settings on this page. 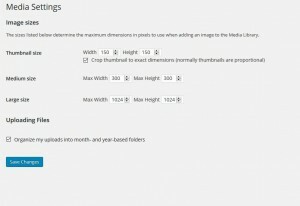 If you want to change the sizes of all the graphic files in your media library you can use a plugin called Regenerate Thumbnails to resize your entire media library. By default, all media files that you upload are placed in a folder within your wp-content directory called uploads, usually organized by year and month. You have the option of renaming the uploads directory to something else if you prefer.